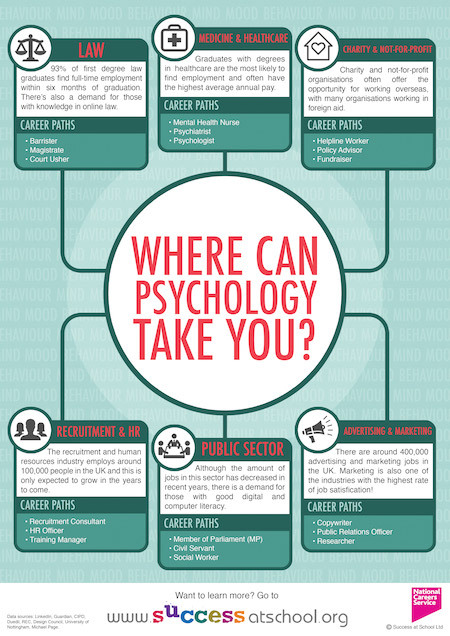 Home > Advice > Subjects > Careers in Psychology - Where Can Psychology Take You? We've told why you should study psychology but what about careers in psychology? 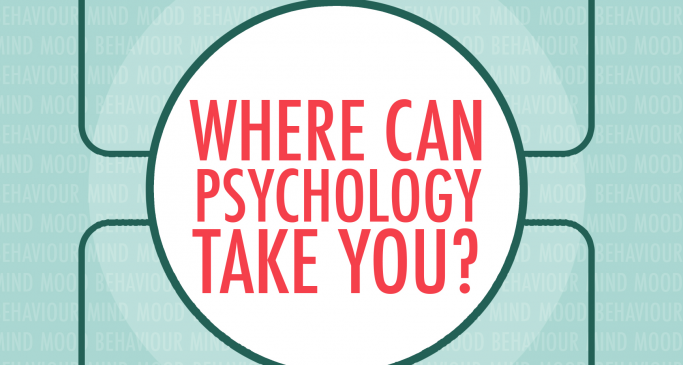 Where can studying psychology take you and what jobs can you do? Well, have no fear, this handy interactive infographic will help you understand psychology careers no matter what stage you're at at school. Click on an industry and follow the link to learn more about it! Click on the poster below to start exploring where psychology can take you. If you can't view the image below, then click here to download.